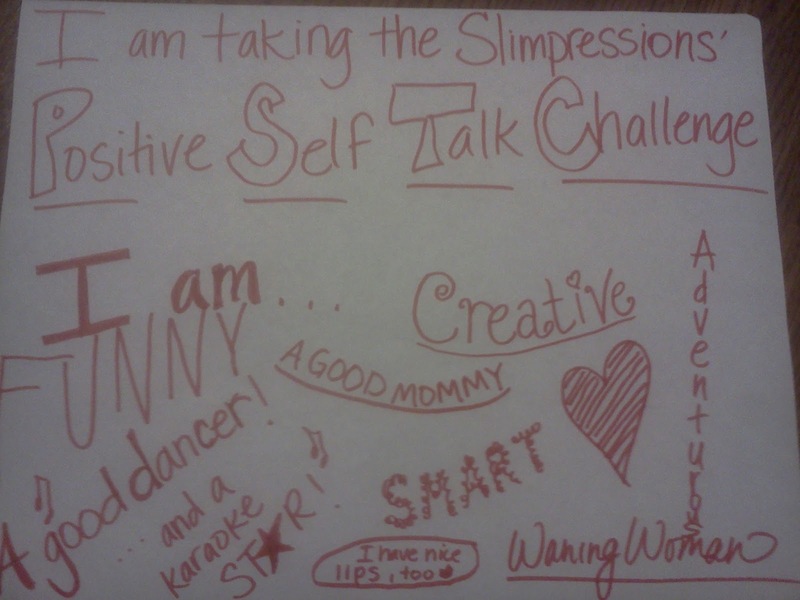 Waning Woman: The Positive Self Talk Challenge. I sure will (all the way from SC)!!!! When does the 7 days start? It always saddens me to see how some of the most amazing and beautiful people are so down on themselves. Everyone needs a boost now and then. Everyone DOES need a boost now and then. :) This is going to be great. This is so doable AND so worth it! Thank you for taking the time to stop by and I appreciate you sharing in this with me. I'm in too! Let me know when to start! Of course I will just start NOW!!!!! woohoo! Start now, Dixie. :D Your energy is contagious.